My previous post centred on Melvin Jules Bukiet’s novel After, which was published in the US in 1996 but which, to the best of my knowledge, has not been translated into French or Dutch. I chose it as an example of English-language works that fail to get translated into foreign languages, although they deserve to be. This post centres on a counter-example, as it were, i.e., a foreign-language work that has not been translated into English although they deserve to be. There are allegedly a lot more of these, but perhaps this example is a bit out of the ordinary since it is neither a novel nor very recent. 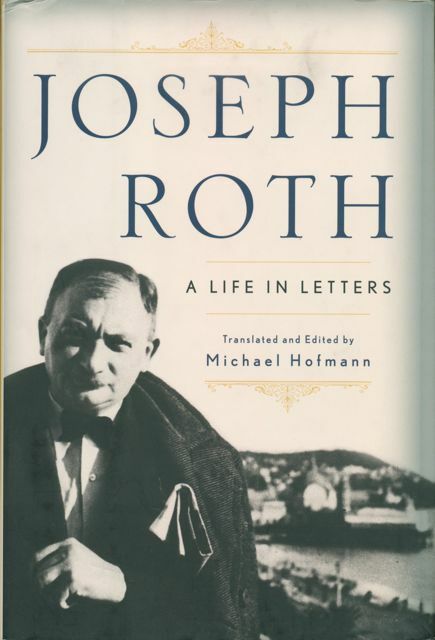 It’s the biography of Joseph Roth by David Bronsen, which I was reminded of when reading Michael Hofmann’s recently published translation of Joseph Roth’s correspondence, Joseph Roth: A Life in Letters (the edition shown here is the Norton edition; the UK edition is published by Faber). Bronsen’s biography of Roth was initially published in German in 1974 by Kiepenheuer & Witsch (cover pictured below), and in a shortened version in German in 1993. It is supposed to be a brilliant biography, but despite the renewed interest that Roth’s work received in the English-speaking world in the 1990s and 2000s (in large part thanks to Hofmann’s new translations), no English version is available. Strangely enough, however, an English translation from Chatto & Windus does seem to have been in preparation in 1999, but nothing seems to have come of it, although a ghostly reference does come up in the search results on Amazon or on BookDepository, for instance. 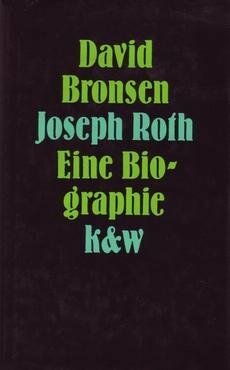 Lastly, it’s perhaps worth mentioning that a new biography of Roth was published by Kiepenheuer & Witsch in 2009: Wilhelm von Sternburg’s Joseph Roth: Eine Biographie.